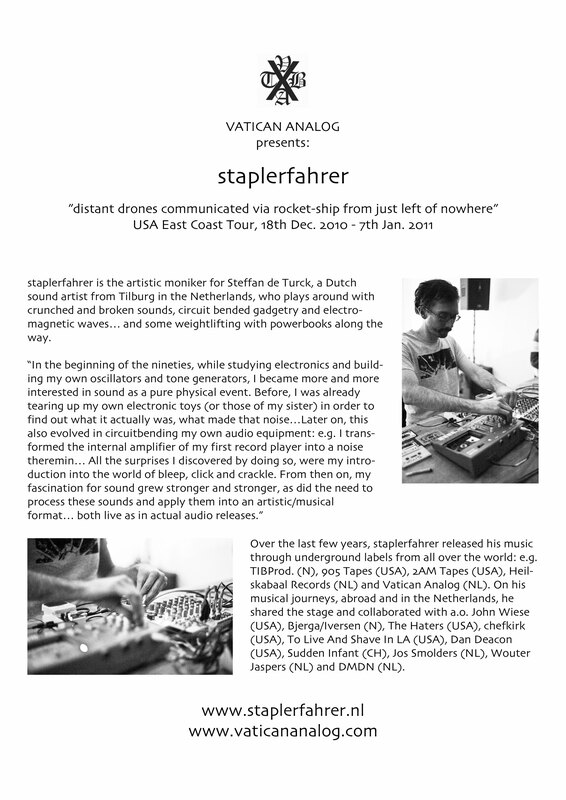 Between the 18th and 24th of December, staplerfahrer is hoping to play some shows in places like NYC, Philadelphia, Wilmington DE, Baltimore, Washington DC and Richmond VA. If you have some ideas for NYC, Philly and DC: please get in contact! The other 3 are pretty much already arranged! In the period from the 2nd until the 7th of January he’s looking for gigs in the North Carolina area.